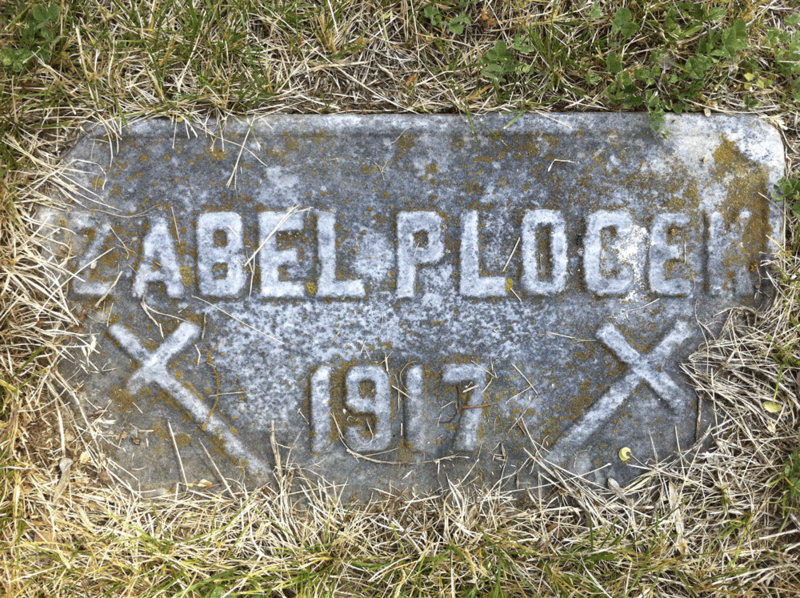 As part of my family heritage research, I’ve been using a site called Find-a-Grave. I’ve been able to see the markers of many relatives the world over. Some only have photos of the outside of the cemetery while others have the actual gravestones. It’s an invaluable resource to have these photos not only to simply feel closer by having an image connection but to have the dates and additional information some of the stones contain. It’s been fascinating to see who is buried next to whom as well. To return the favor, I looked up to see if there were photo requests for any graves in our area. I found that there are quite a few. We live near one of the area’s oldest cemeteries, Calvary Cemetery, with internments from the 1800′s through current. Over 102,000 are buried there. There are 212 requests for photos of markers there. So, this past Saturday, we packed up the kids and drove over to see if we could help. While we didn’t find the all ones we were searching for because we didn’t go in with a good plan, we did learn quite a bit. #1 – Try to not bring the kids along. They were fine but it is difficult to explain to a barely two-year old boy that grave markers are not stepping stones. #2 – Bring a map with the section layouts and a detailed worksheet of exact locations, names, dates, and any other information. #3 – Bring light gardening tools to help clear away dirt and debris from stones. Why would #3 be necessary in what is known as one of the best-maintained cemeteries in all of Ohio? Well, it turns out, this is because in the older sections, without having anyone regularly coming for personal visits, some of the stones are being covered up by the grass or starting to be swallowed into the ground forever lost to those who come after us. I ripped away overgrown grass where I could with my bare hands and took photos of the stones for the family members. The area we randomly started in was a section mostly filled with infants. It broke our hearts seeing stones dedicated to children who lived only a couple months or days. It tore at me seeing stones next to each other, all with the same last names, of children who would have loved to play with one another as brother and sister but never had the chance to do so on Earth. So, today I join in writing about “Missing” for the children whose footsteps were never heard here and for the small memorials which are disappearing. Wow! Such a moving post. So great that you were going to do this for people. Sad to see those graves lost and forgotten, especially all the babies. 2 comments: I don’t have family background history hardly at all. My mom was adopted back in1920. Very little known all those years. She died last year. My dad came from a very unlawful family. Not much known, period. Re: children. It’s amazing how our families have changed since the early 1940s. And some vaccines. It was simply not expected that babies would live through flu, whooping cough, small pox, etc. Life has so changed. We have been very blessed to live in our day and age in that particular arena. Thank you for working in the graveyard. I, personally, would be happy to do that… as long as snakes or rats weren’t visiting the stones with me.